We use room fresheners and artificial air purifiers in our rooms for pleasant aroma and for good feel and mood. Since these are not nature based, using these continuously may affect our respiratory system in the long run. 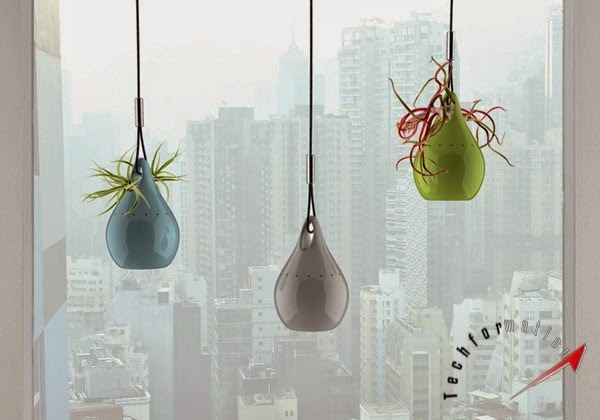 We have air plants, technically called Tillandsias which have the capacity to absorb harmful pollutants in air. 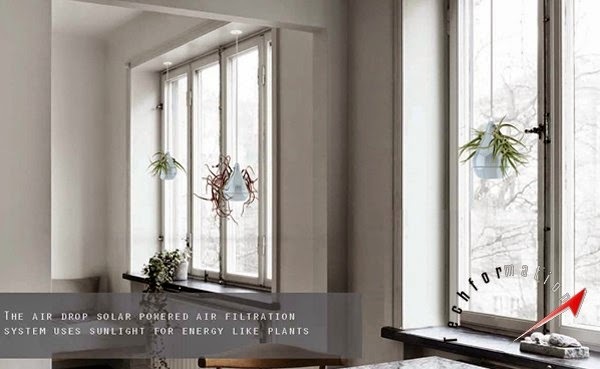 By making best use of them, we can purify air in our living room in an eco friendly way. 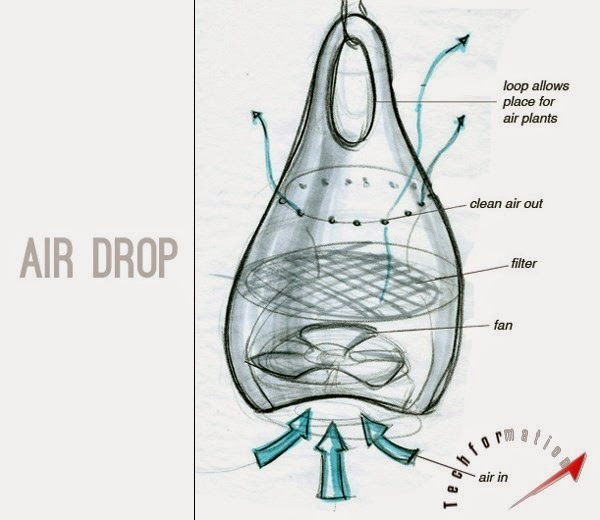 The prototype, named as Air Drop is designed as a pot like hanging structure where there is a fan based purifying system inside. 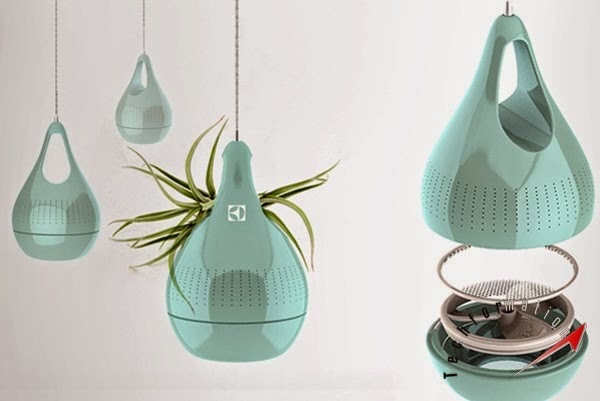 Runs on solar energy, this purifying system is installed in the lower part of the pot. The upper half is dedicated to air plant. 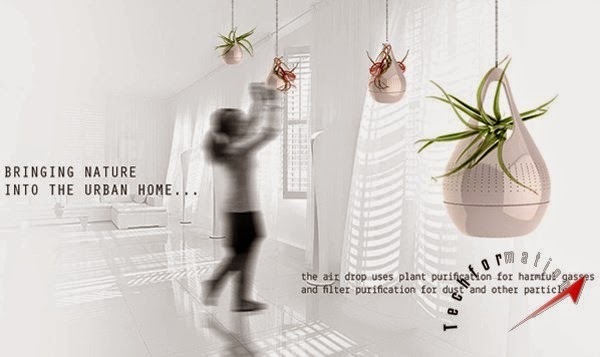 So, when switched on, the purifying system takes care of dust and pollutants in the air, and the plant takes care of purifying the air. Designer: Jillian Tackaberry. 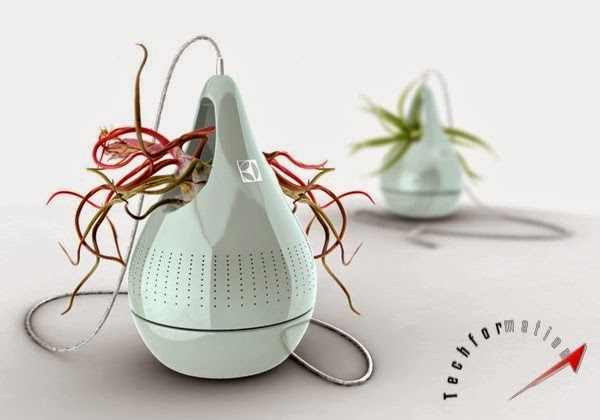 This design is semi finalist in Electrolux Design Competetion 2013.